Mother’s Day is May 13. Get your order in now to make sure it arrives on time. Enjoying photos nowadays involves at a screen, be it a phone, tablet, computer display, or a TV. But there’s something to be said about printed photo albums. These books provide convenient access, but more important are the sentiments attached to them. There’s something about experiencing how the photos are presented, seeing the photos in print, leafing through pages, and holding something tangible that gives photos weight, literally and figuratively. If you haven’t done so, you need to import your photos into Photos. If they are on a storage device like a hard drive or USB drive, you can select all the photos on the device, and then drag them over to the open Photos app. 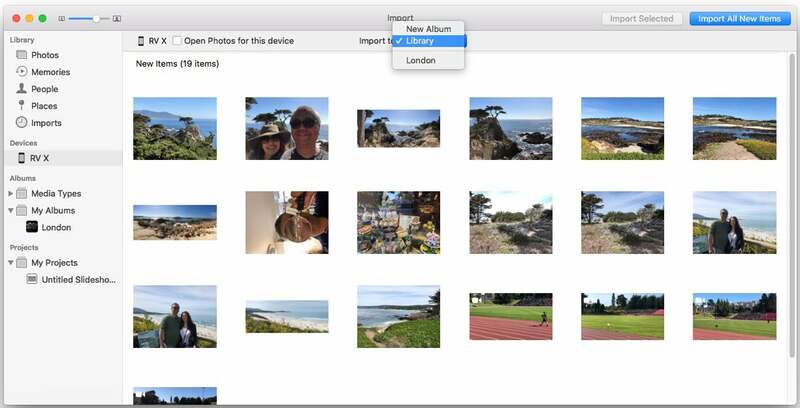 To import your photos on your iPhone into Photos, follow these steps. 1. Plug in your iPhone to your Mac using a Lighting-to-USB cable. 2. 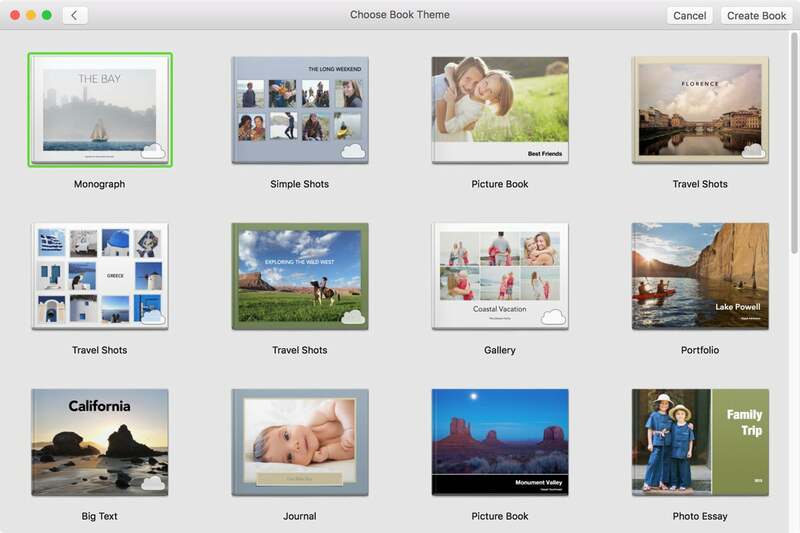 Launch the Photos app (Applications > Photos). 3. In the left column of Photos, your iPhone should appear under Devices. Click it. 4. Thumbnails of your iPhone photos will appear in the main window. At the top of the window is an Import to pop-up menu. The Default is Library, but you can select a specific Album to import to, or create a new Album. It’s best to put the Photos for your book in an Album in the Photos app. This will make it a lot easier to inspect the book’s contents. If the Album you want is already in Photos, select it in the pop-up menu. To create a new Album, select New Album. You’ll be asked to give the Album a name, and then it will be selected as the destination for your import. 5. You can click the Import All New Items button, or you can select the photos you want to import by clicking on each one and then clicking on Import Selected. If you want Photos to open every time you connect your iPhone to your Mac, check the Open Photos for this device box next to the icon and name of your iPhone in the upper left corner of the main window. Also, note that after you perform an import, the photos are still on your iPhone. They haven’t been deleted. There is no option in Photos to delete the photos on your phone after import. 1. 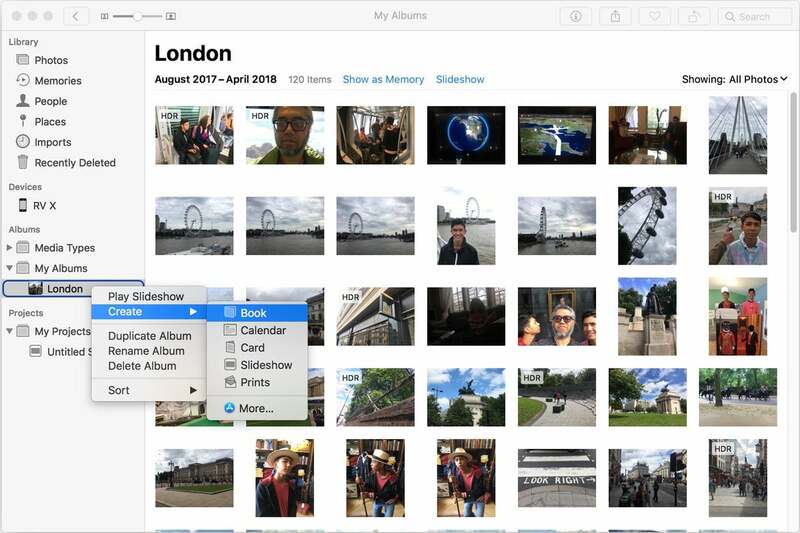 Select the Album that has your photos for the book. This is done by going to the Albums section in the left column. Click the triangle icon next to My Albums to see your album collection. 2. Right-click on your Album. A pop-up menu will appear. Select Create > Book. 3. 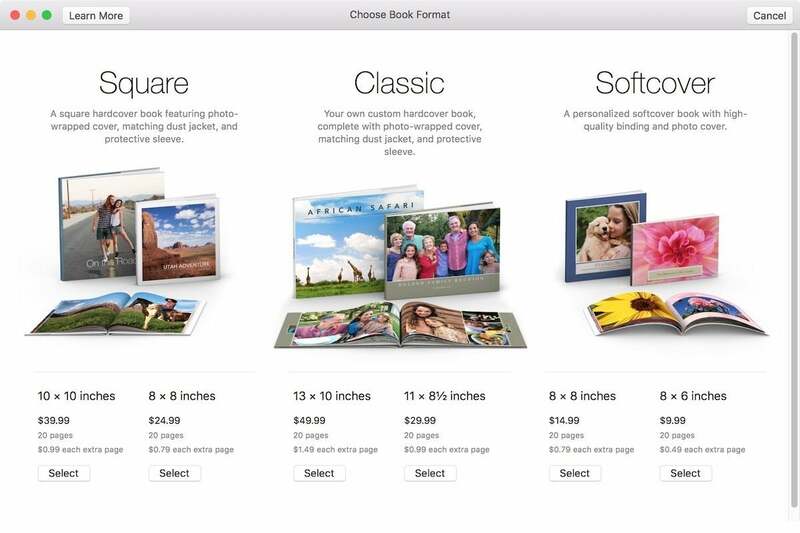 Photos will display your book choices and prices. Look them over, and when you decide which one you want, click its select button. 4. After you select a format, you have to choose a theme. Unfortunately, Apple doesn't provide a complete guide to what the themes look like. Here is a guide to some of the themes, provided by Apple's Support Communities. You can change a theme later if you don't like the one you pick. Select a theme and then click on the Create Book button on the upper right of the app. 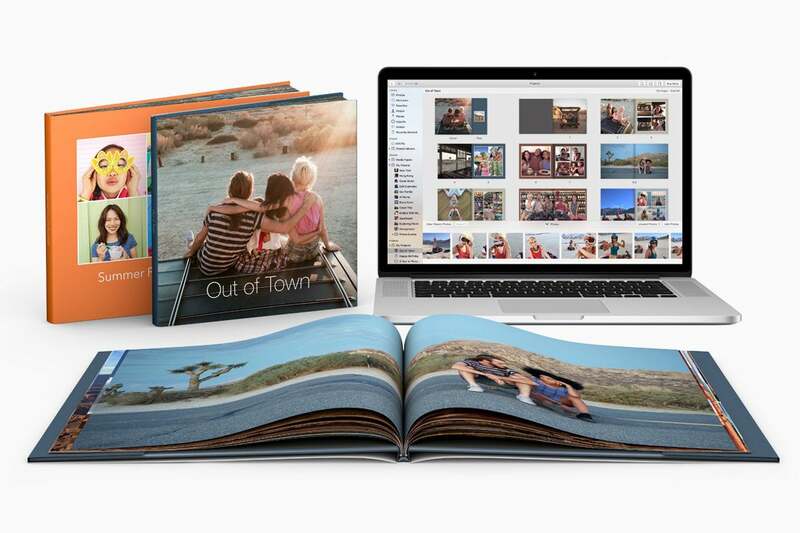 The Photos app will create a project and automatically places the photos in the book. When it is done, a new project will appear in the Projects > My Projects section in the left column. The main window shows the pages of the book.